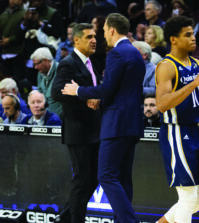 The Quinnipiac men’s basketball team earned a victory in a hard fought battle against Marist on Monday, defeating the Red Foxes 83-78. Guard Umar Shannon scored a season high 26 points, shooting 5-10 from beyond the arc. Forward Ousmane Drame dominated down low, scoring 16 points, racking up 13 rebounds and blocking seven shots in the win. 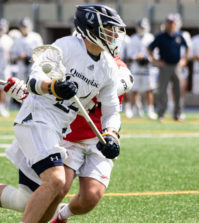 The matchup was the first meeting between the two programs, so the win marked the first victory for the Bobcats against Marist in program history. 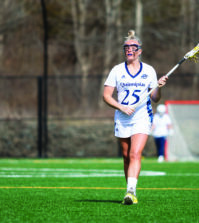 Although the team got a win, which ties them for second in the Metro Atlantic Athletic Conference, coach Tom Moore was disappointed with the enthusiasm. Quinnipiac was down early in the game when Marist went up 15 points. A big reason was due to the seven three-pointers that were made by the Red Foxes in the first half. From there on out it was up to the Bobcats to get themselves back in the game. The Bobcats played strong on the defensive end, especially in the second half. They were able to out-rebound yet another opponent in the Red Foxes, grabbing 44 total rebounds compared to Marist’s 37. A big part of that was because of Drame. Out of the nine three-pointers made by Quinnipiac in the contest, five of those came from Shannon. 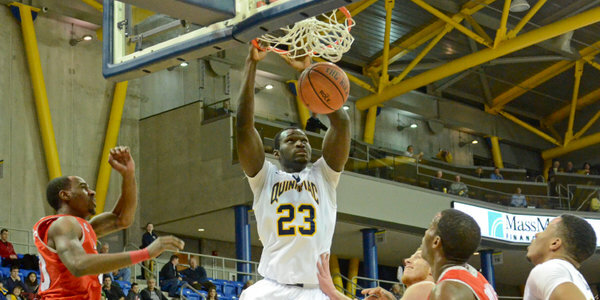 He knocked down some big shots down the stretch to keep Quinnipiac on top. As the game came down to it’s final minutes, the Bobcats needed a clutch performance from Drame when he had the ball under the bucket with a 1:02 remaining. After putting in a tough lay-up, Quinnipiac went up 76-71 and it was only a matter of hitting free throws in order to sustain the victory. Moore also stated that the two positives that resulted from Monday night’s victory were both Shannon and Drame’s performance. Other than that, he believes the team needs to work on some things moving forward. 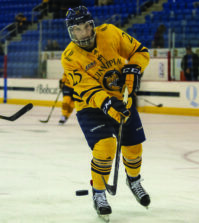 Quinnipiac’s next game is at Fairfield, the second between the two this season. The Bobcats won the first matchup at home earlier in the season when they beat the Stags 83-79. Tipoff is set for Thursday at 8:30 p.m.